Winter starts early in Ötztal. 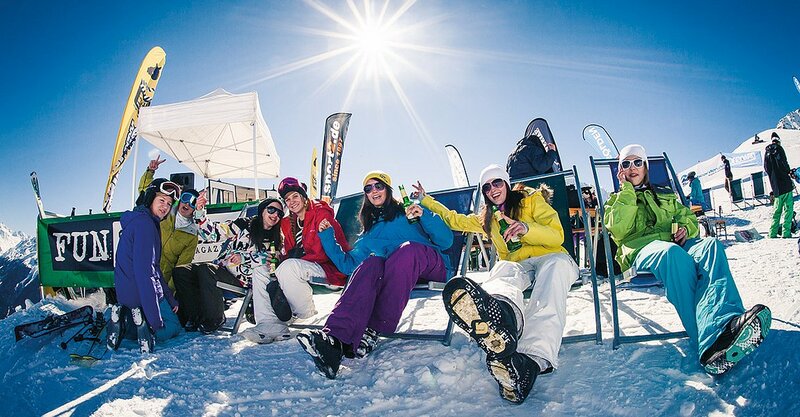 It promises superb skiing fun, snow exploration plus entertainment at the highest level. And what's best: Our ALPENLIVING accommodations are right in the middle of it! 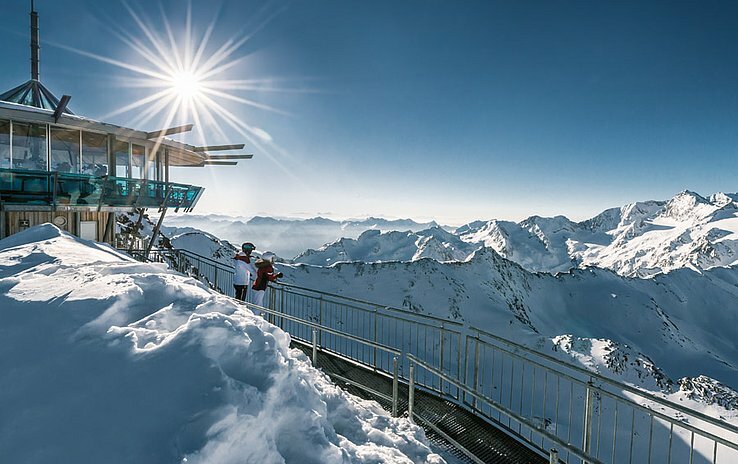 All those visiting the winter sport resort of Sölden know exactly what they want: endless activities on 146 kilometers of immaculate, wide open ski slopes. 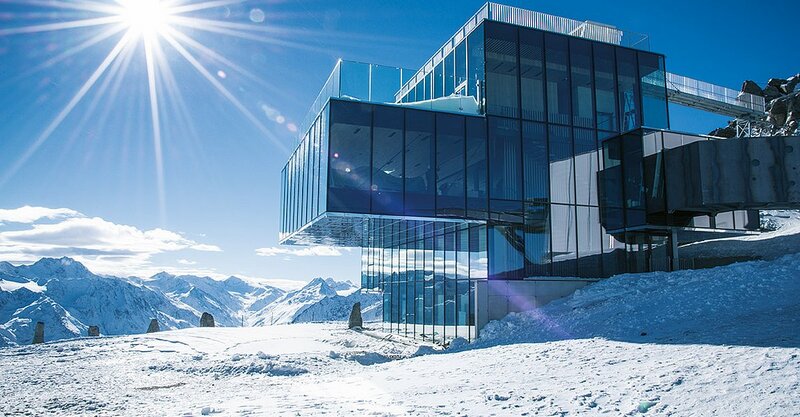 Top modern mountain lifts without any waiting times. Comfy feeder mountain gondolas whisking you right from the village center up to the ski area at 3340 meters altitude. 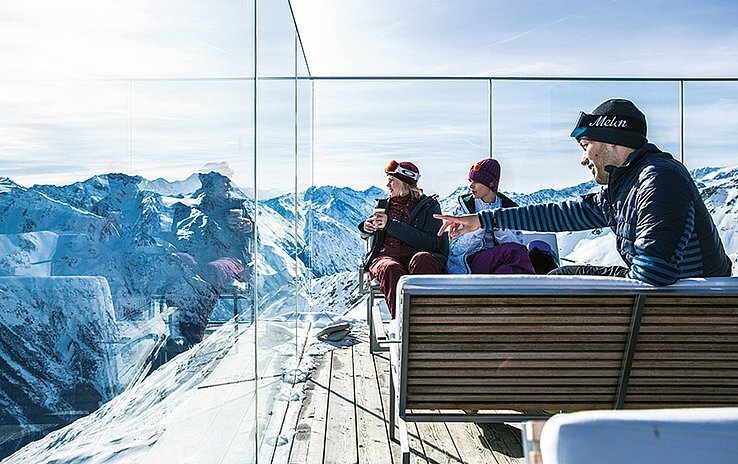 Once on top, you indulge in the awe-inspiring Alpine scenery of the unique ice Q, a top-class gourmet restaurant with table service - offering Alpine Cuisine, fine wines and a truly unique rooftop sun terrace overlooking the magnificent mountainscape of the Ötztal Alps. 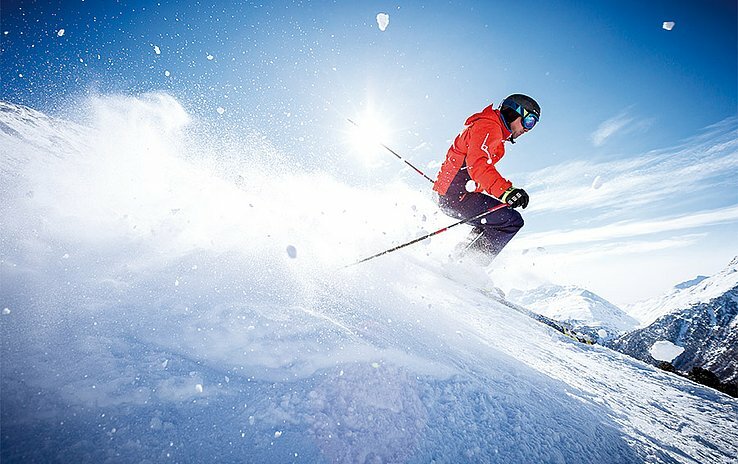 The splendid Hot Spot in the Alps offers something for all ability levels, ranging from easy terrain for beginners and slightly advanced on Giggijoch to varied challenging pistes on Gaislach ski mountain. 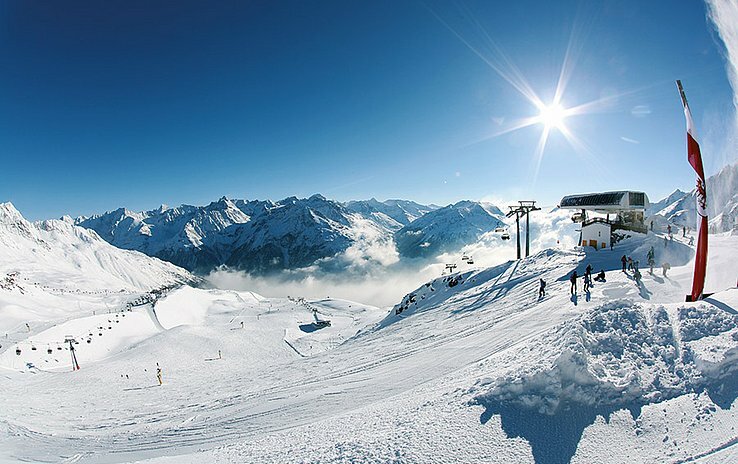 What's more, Sölden is Austria's one and only ski area with three skiable mountains higher than 3000 meters - called the BIG3, easily accessible with state-of-the-art mountain lifts. 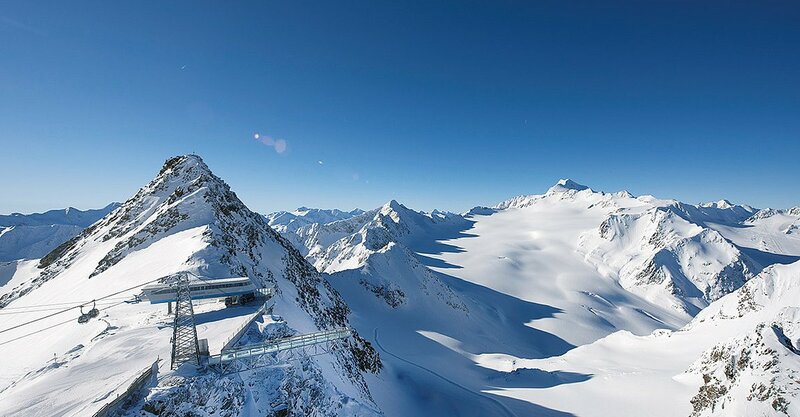 Dreamlike views of the scenic Ötztal Mountain World await you on top. 254 Slope Kilometers, 55 Mountain Lifts, One Ticket! 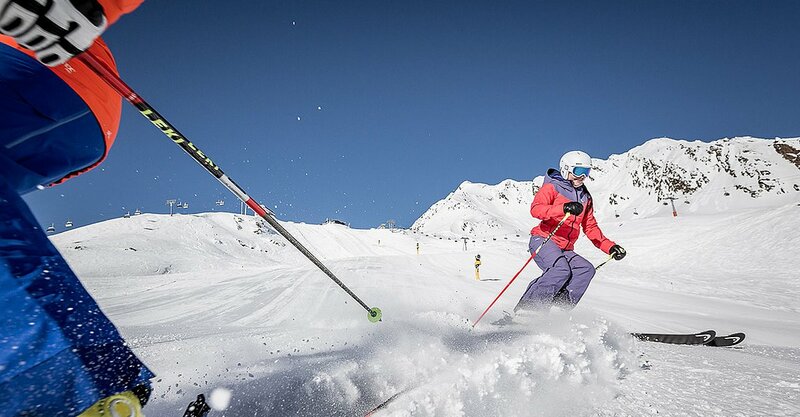 The two top ski destinations of Sölden and Obergurgl-Hochgurgl have joined forces: skipasses for 3+ days are valid in both ski areas without restrictions. The one and only Pow(d)er Card gives access to even more slope kilometers and ski lifts. 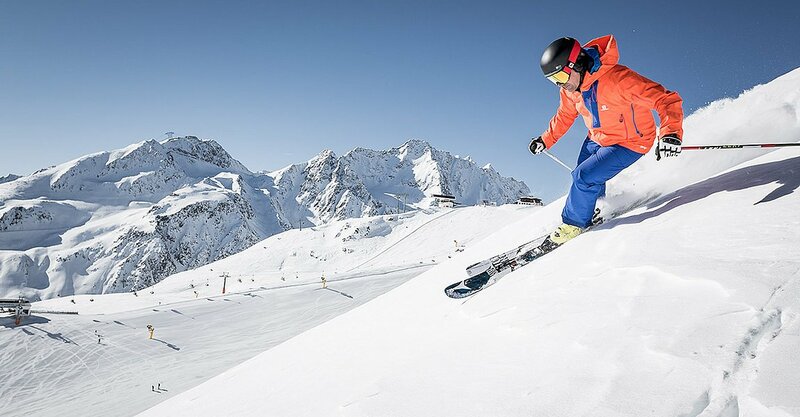 Sölden promises a one-of-a-kind winter sports experience thanks to its huge choice of ski runs for all ability levels and its vast, perfectly groomed ski slopes. 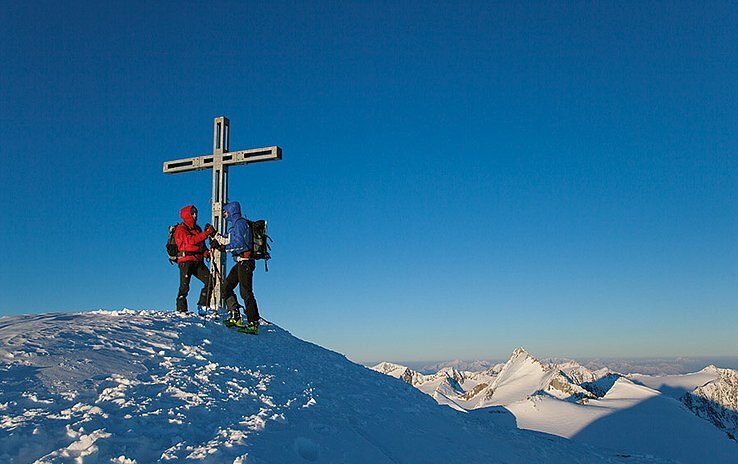 The Diamond of the Alps offers absolute snow reliability, top-notch skiing fun without lift lines and mountain gastronomy at the highest level. 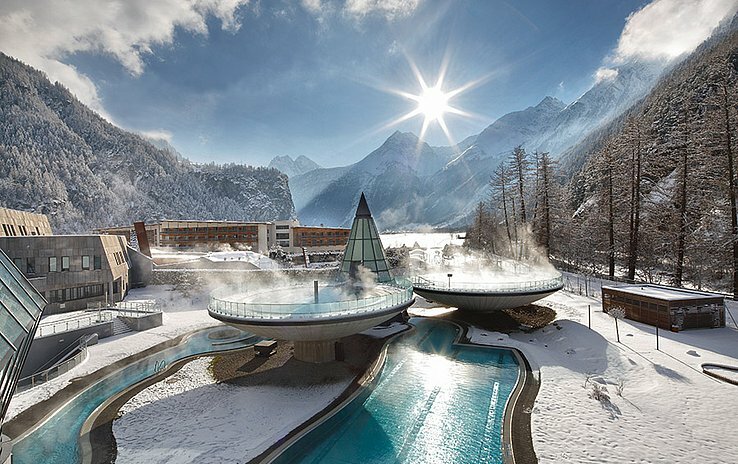 Ötztal makes a perfect symbiosis of trendy and traditional winter holidays. at the peak of ice Q. There is a lot to discover off the beaten tracks! Thermal Spa Pleasures in the middle of Winter.